The University of Wisconsin-Madison (UW) was something of a surprise winner as the Best Radiologist Training Program in this year's Minnies competition. But it's no surprise to Dr. David Kim, director of the university's radiology residency program. 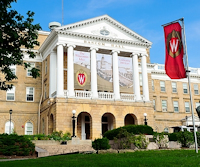 He cited the expertise of the program's faculty, as well as the growing number of top-notch scientific papers being presented by UW researchers at national meetings, as examples of the program's rising reputation. Specifically, researchers in UW's abdominal section have performed pioneering research in CT colonography screening, having screened close to 13,000 individuals since 2004 (indeed, UW radiologist Dr. Perry Pickhardt was named Most Influential Radiology Researcher in the 2016 Minnies). Another example is microwave tumor ablation, a therapeutic technology pioneered by Dr. Fred Lee, who went on to found three companies dedicated to cancer treatment: Cellectar Biosciences, NeuWave Medical, and Elucent Medical. UW researchers have also recently published important papers on gadolinium deposition from MRI contrast, screening breast MRI, and risk-based mammography screening. "If you look at the research coming out of this institution over the past decade, for every section there is really meaningful research," said Kim, who has been director of the residency program for the past 12 years and vice chair of education since 2012. UW's radiology residency program consists of eight residents per class for a total of 32 trainees. Kim credits the quality of the university's faculty members for much of its success, as they take significant time from their research endeavors to help train the next generation of radiologists. Kim is also assisted by four associate program directors. "We really have some motivated, great faculty," he told AuntMinnie.com. "We have people who really put a lot of effort into teaching our residents." UW's program has also embraced novel educational tools, such as Roundabout, an internally developed resident dictation assessment tool that went into use about two and a half years ago to accompany traditional side-by-side readout sessions. Roundabout lists all of the reports a resident has dictated over a particular time period, and residents can view their original reports side by side with corrected reports, with changes highlighted to draw attention to areas that might need more work. He sees this year's Minnies award as validation of what could be one of the best-kept secrets in radiology education. "We knew that there is something special going on at UW for the last eight to 10 years, and it's nice to see it being recognized," Kim said. 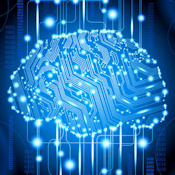 For the second year running, the Minnies expert panel selected the arrival of artificial intelligence (AI) and machine learning as the Most Significant News Event in Radiology. If you perused even a few headlines over the past year, it's not hard to see why. The debate over AI and medical imaging spilled over the boundaries of trade and academic publications and into the lay press, with several publications in 2016 and 2017 identifying radiologists as among the first white-collar professionals who could see their jobs disappear because of AI. One computer scientist even made the infamous quip that machines are going to become so adept at reading images in the next five to 10 years that the training of new radiologists should be halted. As is often the case, however, the reality is much less exciting. While AI is primed to become a powerful force in radiology, most experts believe that it will assist radiologists rather than replace them. In this scenario, AI algorithms take over routine tasks that radiologists have never liked doing anyway, enabling them to focus on integrating multiple data streams to deliver better patient care. So, as the debate percolates over AI's future, researchers are doing the hard work to make it useful in the present. AI algorithms are being explored for evaluating urinary stones and deciding which patients scheduled for musculoskeletal MRI scans should get contrast, among other applications. Indeed, two major recent developments have opened the door to even more rapid dissemination of AI software. In July, the U.S. Food and Drug Administration (FDA) issued a decision that classified a computer-aided diagnosis (CADx) product that uses AI as a class II device, meaning that future similar applications can use the 510(k) regulatory process. And in September, the U.S. National Institutes of Health (NIH) opened up a massive database of 100,000 anonymized chest x-rays that can be used to test AI algorithms. Also, a quick look at the abstracts to be presented at RSNA 2017 reveals more than 100 presentations on AI, machine learning, deep learning, and related topics. Look for this fertile field to continue to grow in the years to come. For the fourth straight year in the Minnies, concerns over commoditization have been chosen by our expert panel as the Biggest Threat to Radiology. The issue remains of concern to radiologists even as the sources of the threat change over time. For example, in 2014, falling reimbursement and an overall slowdown in the utilization of medical imaging were cited as being among the reasons for commoditization, while in 2015 the U.S. government's shift toward value-based care was suggested as a possible threat. In 2016, the rise of artificial intelligence raised the specter that radiologists could be replaced completely by machines. However, an impartial look at the evidence would suggest that commoditization has yet to have a meaningful effect on radiologists, if measures such as salaries and job availability are any indication. Radiologists continue to be among the highest-compensated physicians, with the median radiologist salary crossing the $500,000 mark for the first time this year. Even the job market is showing signs of life. CNN rated "radiologist" as no. 45 of the top 100 careers in the U.S. at the beginning of 2017. The survey cited the specialty's high levels of personal satisfaction, benefit to society, and opportunity for telecommuting as advantages. Only the job's stress level scored against it. And an American College of Radiology (ACR) survey released in July 2017 found that the number of new jobs available for radiologists grew 14% in 2017, compared with 2016. The survey's authors surmised that the retirement of senior radiologists and growth in part-time employment were helping to drive the increase. But as the old Joseph Heller saying goes, "Just because you're paranoid doesn't mean they aren't after you." Radiology remains vigilant to new threats, and rightly so. In particular, organized radiology is trying to get ahead of artificial intelligence to ensure that if AI does take over the interpretation of routine imaging studies, it's doing so at the behest of radiologists. Barring some unforeseen leap forward in AI technology or major crash in reimbursement -- both unlikely -- radiologists in the U.S. will continue to sit in the catbird seat for years to come. So sit back, take another sip of coffee, and get ready to hit the list -- and thank yourself you have it so well. 3D printing is still hot, as evidenced by its selection as the Hottest Clinical Procedure for 2017 by the Minnies expert panel for the second year in a row. The year saw 3D printing move from toy to tool, with clinicians exploring the technology for everything from custom-designed orthopedic implants to patient education aids for illustrating complex surgical procedures. Researchers are also beginning to show that 3D printing can save healthcare costs in addition to demonstrating clinical value. 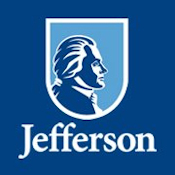 For example, a group from the University of California, San Diego (UCSD) showed that patient-specific 3D models created from CT scans could reduce surgical times for hip procedures while saving money and reducing radiation exposure from fluoroscopy. Farther in the future is the chance that functional organs could be printed. Researchers from Northwestern University successfully printed ovaries in mice that enabled the animals to ovulate and give birth to pups, according to a May 2017 study. Training and education remain major focal points for 3D printing, as evidenced by a study in which 3D-printed kidneys helped plan surgeries in patients with renal masses. In another study, researchers created high-resolution 3D-printed models of the brain and skull base that detailed the cranial nerves. This year even saw the discipline highlighted in its own dedicated conference with the launch of the 3DHeals meeting in San Francisco in April. Attendees heard about legal issues related to 3D printing, such as intellectual property and liability from the failure of 3D-printed implants, as well as challenges faced by 3D printing start-ups. The upcoming RSNA 2017 meeting should yield an explosion of new research in 3D printing, while the RSNA's 3D Printing Special Interest Group -- formed at RSNA 2016 -- will be on-hand to introduce and guide enthusiasts to this exciting new discipline.